Vanessa is the CEO of Beyond Zero Emissions. 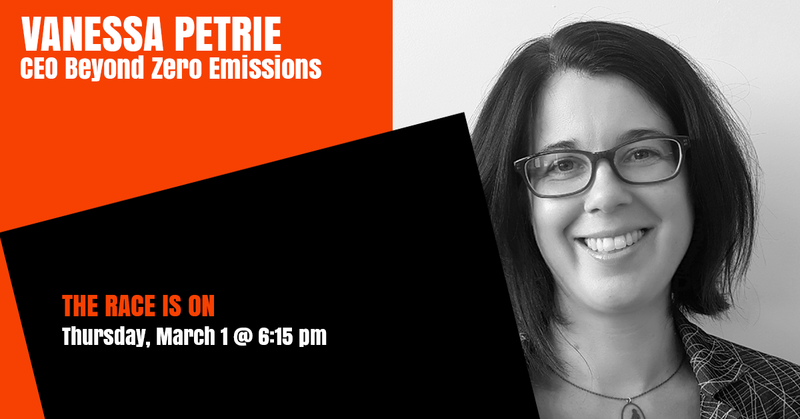 She is an experienced sustainability leader and is passionate about BZE’s role in developing achievable and affordable solutions for rapidly decarbonising the Australian economy. Vanessa has close to 20 years’ experience working in diverse roles across local and State Government and the NFP sector including infrastructure projects, legislative policy development, major policy reform and waste and resource recovery planning. Vanessa has a Bachelor of Environmental Engineering from RMIT University, and a Masters of Environment from the University of Melbourne.